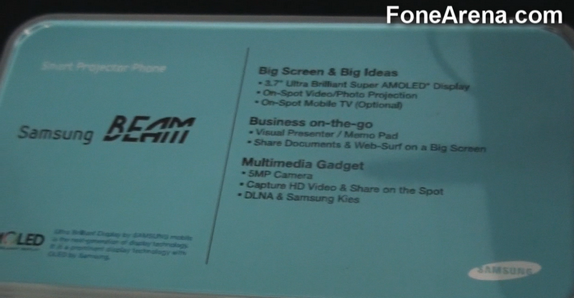 The specs of the Samsung Beam include a inbuilt Video/ Photo Projector which is pretty cool. The display is a gorgeous 3.7 inch Super AMOLED display. It also features a 5 megapixel camera with HD video recording. 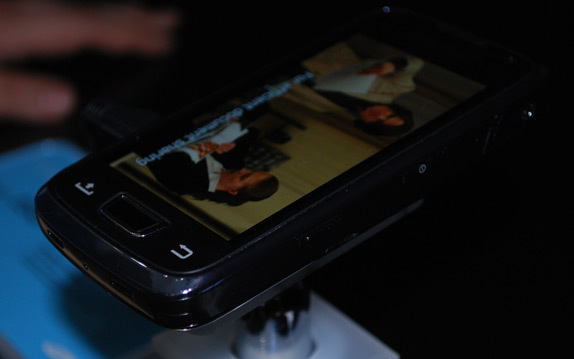 Projectors on phones adds a whole new dimension to sharing. Imagine you shoot a photo/video on the phone camera , you can actually show it off on a large screen without having to transfer it to a PC or photo sharing site ! This phone was codenamed Halo and was rumoured to launch with Android 2.1 . Now it’s been officially launched as the BEAM.